1953 Vincent Series C Rapide. Picture credits - motorcycles20thcentury.com. Submit more pictures. Alternate seat height: 826 mm (32.5 inches) If adjustable, highest setting. Modifications compared to previous model: Series C had Girdraulic forks with cast aluminium blades. Series B had standard girder. 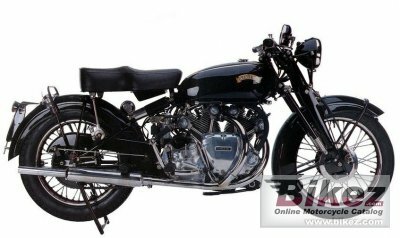 Ask questions Join the 53 Vincent Series C Rapide discussion group or the general Vincent discussion group.